If you have suffered an injury or illness as a result of medical negligence and malpractice our medical negligence team are on hand seven days a week to provide you with the advice, support and experienced legal team you need to make a compensation claim. We are a leading provider of personal injury and medical negligence solicitors and can cover claims for people who need a solicitor in Dartmouth. With solicitors who have as much as thirty years of experience, we know how to conduct your case and make a positive change in your life. Our team will always take the time to fully understand your case and injuries before helping you to get the compensation that you deserve. To start your medical negligence claim, contact Legal Expert today on 0800 073 8804. What is clinical and medical negligence? Clinical or medical negligence is defined as substandard care which has been provided to a patient by a healthcare professional or organisation and which has directly led that person to suffer in some way. This could be an existing illness or injury becoming worse over time, or the development of a new condition, such as contracting an infection. There are numerous circumstances which can lead to or be considered to be medical negligence, from the provision of the wrong medication and treatment to failing to correctly diagnose a condition or even surgical errors. The burden of proof. In any personal injury case, such as a medical negligence claim, the burden of proof (i.e. showing the negligence occurred) always rests with the claimant. Solicitors acting for the defendant and claimant (and later a judge if necessary) will apply what is called the ‘balance of probabilities’. They will look at whether on balance it is more likely than not that negligence did occur in this case and that it led to the consequences suffered by the claimant. Is my claim time limited? In most medical negligence claims there is a three year period in which your case must be brought. The start of this will be the date at which you became aware you received negligent treatment which lead to you suffering in some way. This could be the date at which the treatment was provided, or a later date when the symptoms presented. There are further exceptions to this three year period. Children who have suffered medical negligence can have an adult bring the claim anytime until they are eighteen. At this point their three year claims window starts. If the claimant lacks the mental capacity to bring the claim themselves there is no time limit to when the claim can be brought. What can be claimed for in a medical negligence claim? Your compensation claim can be made for the injury or illness that you have suffered. If you have suffered financially in any way, such as losing income due to taking time off work, having to pay for additional medical expenses, travel to medical appointments or for adaptations to your home, these expenses can be taken into account in your claim. Our guide to Dartmouth medical negligence solicitors below contains further information on what medical negligence claims are, how a solicitor can help, and how you can go about making a claim with our expert legal solicitors. If you have been injured by a medical practitioner or healthcare provider due something going wrong and you were injured you need to ensure that you work with the best possible solicitor. Your initial steps might include talking to your family and friends or looking on the internet for reviews of solicitors services in your area (such as a solicitor in Dartmouth). No matter the amount of compensation you are seeking, cases of medical negligence can be very complex and involve the solicitors seeing private medical information. Given both the specialist nature of this type of claim and the sensitivity of information the solicitor may be privy to, getting the right solicitor is very important. Common things to look at when choosing a solicitor or legal firm to work with include their level of experience, their experience, and whether or not they offer a no win, no fee service. One of the simplest ways to connect with a highly experienced legal team is to contact Legal Expert. When choosing between any type of product or professional service, reading different online reviews, such as reviews of different solicitors and legal firms who can help claimants in your area, is one of the first things many people will do. Reading reviews of the solicitors who are active in your area can be a great way to gauge their experience and expertise in your type of claim. You can also see whether previous clients are generally happy with the service they received and even examples of the amounts of compensation that they have been able to secure for people in the past. This can help you to get a good picture of whether they will be well suited to working on your claim. You should also compare the fees and charges that could be applied by different solicitors. Also, make sure to look at whether the solicitor offers a fully no win, no fee service. Talk to our team today to learn more about our experience in helping claimants. Do I Need To Use A Solicitor Based In My Area? The misconception that you need to use a solicitor who is based in the same town, city or local area as you is one of the biggest and most prevalent misconceptions around hiring a solicitor. People often think that they will be limited to using a locally based solicitor so that they can have face-to-face meetings with them. However, today there is a prevalence of different digital communication tools which allow you to access professional services no matter their location in the country. Today many personal injury and medical negligence claims can be carried out without the need for claimants and solicitors to meet face-to-face. Solicitors don’t have to be based in your location or even close to you. They are able to provide a plethora of different services from across the country, just as convenient as if you were next to each other. What is much more important that where you and your solicitor are based is their ability and experience in settling claims for the maximum amount of compensation that can be awarded. Working with Legal Expert and our team, we can provide you with an expert legal solicitor who is ready to help claimants in your location. If you need to have a medical exam to provide further evidence of the nature and extent of your injuries, we can organise one close to you. And, if you need to have a home visit this can be arranged for you. During your initial consultation our no win no fee medical negligence specialists will ask you a number of questions about your injury or illness, how it happened and what the effect has been on you. Our dedicated team covering your area will then provide you with a specialist solicitor with experience relevant to your case. Our Dartmouth medical negligence team can conduct claims against private sector healthcare providers as well as the NHS. We are also able to carry out claims for injuries ranging from the more mild, through to those with very severe consequences. In the sections below, we look at some of the most common circumstances which lead to claimants suffering medical malpractice or negligence. This list does not include all of the different and varied circumstances which can lead to people experiencing pain and suffering. If your injury type is not listed don’t despair, contact Legal Expert today and we can help you. Visiting the hospital should be an experience which puts you on the road to getting the treatment you need and hopefully recovering. However, some patients to experience much more substandard levels of care then they should expect from either the NHS or a private hospital. Hospital negligence may include people being mistreated in an Accident & Emergency department, unexpected and unnecessary delays to treatment programs, surgical errors and the incorrect diagnosis of a condition. If you have experienced hospital negligence, our team can provide claimants with NHS negligence advice. Use our compensation form to contact Legal Expert today. Dental negligence can lead to consequences which are traumatic and painful. They may range from the purely cosmetic, through to even life-changing consequences. Claims may be brought about for actions by dentists, their staff or specialist surgeons and can be made against practitioners and surgeries alike. Common reasons for making a dental negligence claim include delays in your treatment, being given the wrong diagnosis and treatment errors leading to nerve damage. Other consequences might be cosmetic issues or the loss of a tooth. Legal Expert can conduct all these types of claims and more. A GP or family doctor is very often the point of call when a person is sick or has some type of health problem. The quality of your treatment and the way in which you are treated at this stage could have a very big impact on how your condition progresses. Patients should expect their doctor to provide the correct treatment and medication, as well as any necessary specialist treatment or referrals. Negligence by a GP could include not taking medical history into account, or not carrying out a complete physical exam. If you have suffered medical negligence in some way at your GP’s speak to our team today. 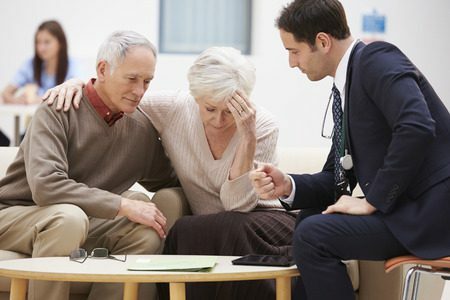 Cases of cancer negligence can deal with some of the most serious results of negligent treatment./ people of all ages can be affected by cancer and cancer negligence. The disease, its consequences and the consequences of not getting the right treatment can affect a claimant, as well as their friends and family. The earlier cancer is caught, the higher the likelihood that the patient can make a full recovery. If it is not diagnosed correctly, not treated in time or if the care provided is otherwise substandard in some way, the patient might experience long term, life-changing or even terminal consequences. If you, a family member or friend has experienced negligent cancer treatment, talk to Legal Expert today. We often trust nursing homes and care homes to look after our vulnerable or sick loved ones. We expect them to provide an exceptionally high level of care for people who may be sick, infirm or terminally ill. If these standards are not met, you or a loved one may be harmed by this negligent treatment. The solicitors we can provide are able to help claimants secure the compensation that they are owed after suffering negligence in a care or nursing home. The solicitors that Legal Expert can provide are able to help claimants who have experienced pain and suffering during childbirth. This could be negligent treatment experienced by the mother, or injuries and illness suffered by the child. Cases of birth injury negligence might include the child suffering oxygen deprivation, the mother or child contracting an infection of some kind, or otherwise being made ill or injured due to the way that care is provided. If you experienced negligent treatment whilst giving birth, or during your stay in hospital, or experienced this as a child, Legal Expert can help you. Contact our medical negligence team today for further information. Hospitals and other NHS facilities are commonly administered by what are called NHS trusts. These trusts are the body who owe the legal duty of care towards patients in their facilities and whom are ultimately responsible for the care people recieve. The table below contains information on the number of claims made against the NHS trust covering Dartmouth, as well as the value of the claims made against them in 2015/16. If you have experienced some form harm (whether injury or illness) due to the way a healthcare or other medical practitioner administered your treatment, you could be entitled to make a no win, no fee compensation claim. No win no fee services are provided without the claimant having to meet upfront costs and paying ongoing fees. The solicitors we provide will assume any liability for not being paid in the event of your claim not being successful. No win no fee agreements have allowed people the length and breadth of the country to claim the compensation they deserve. Find out more about no win no fee services by contacting Legal Expert today. You can take the next step by contacting our medical negligence team covering the Dartmouth area, as well as the South West of England. Our dedicated team can provide you with an experiences solicitor to help you get the compensation you deserve. Find out more by calling us on the number above, or by emailing us at info@legalexpert.co.uk.